Exclusive: The neocon prescription of endless “regime change” is spreading chaos across the Middle East and now into Europe, yet the neocons still control the mainstream U.S. narrative and thus have diagnosed the problem as not enough “regime change,” as Robert Parry reports. But the truth is that this accelerating spread of human suffering can be traced back directly to the unchecked influence of the neocons and their liberal fellow-travelers who have resisted political compromise and, in the case of Syria, blocked any realistic efforts to work out a power-sharing agreement between Assad and his political opponents, those who are not terrorists. In early 2014, the neocons and liberal hawks sabotaged Syrian peace talks in Geneva by blocking Iran’s participation and turning the peace conference into a one-sided shouting match where U.S.-funded opposition leaders yelled at Assad’s representatives who then went home. All the while, the Post’s editors and their friends kept egging Obama to start bombing Assad’s forces. The madness of this neocon approach grew more obvious in the summer of 2014 when the Islamic State, an Al Qaeda spinoff which had been slaughtering suspected pro-government people in Syria, expanded its bloody campaign of beheadings back into Iraq where this hyper-brutal movement first emerged as “Al Qaeda in Iraq” in response to the 2003 U.S. invasion. It should have been clear by mid-2014 that if the neocons had gotten their way and Obama had conducted a massive U.S. bombing campaign to devastate Assad’s military, the black flag of Sunni terrorism might well be flying above the Syrian capital of Damascus while its streets would run red with blood. But now a year later, the likes of Hiatt still have not absorbed that lesson — and the spreading chaos from neocon strategies is destabilizing Europe. As shocking and disturbing as that is, none of it should have come as much of a surprise, since the neocons have always brought chaos and dislocations in their wake. When I first encountered the neocons in the 1980s, they had been given Central America to play with. President Ronald Reagan had credentialed many of them, bringing into the U.S. government neocon luminaries such as Elliott Abrams and Robert Kagan. But Reagan mostly kept them out of the big-power realms: the Mideast and Europe. The result not surprisingly was a flood of refugees, especially from El Salvador and Guatemala, northward to the United States. 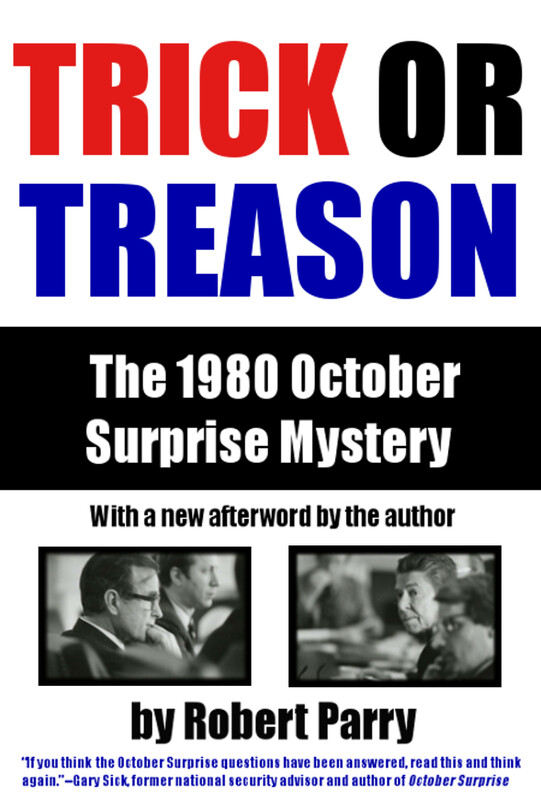 The neocon “success” in the 1980s, crushing progressive social movements and reinforcing the oligarchic controls, left most countries of Central America in the grip of corrupt regimes and crime syndicates, periodically driving more waves of what Reagan called “feet people” through Mexico to the southern U.S. border. However, the right-wing and mainstream U.S. media never liked the complex Iran-Contra story and thus exposure of the many levels of the scandal’s criminality was avoided. Democrats also preferred compromise to confrontation. So, most of the key neocons survived the Iran-Contra fallout, leaving their ranks still firmly in place for the next phase of their rise to power. In the 1990s, the neocons built up a well-funded infrastructure of think tanks and media outlets, benefiting from both the largesse of military contractors donating to think tanks and government-funded operations like the National Endowment for Democracy, headed by neocon Carl Gershman. The neocons gained more political momentum from the U.S. military might displayed during the Persian Gulf War of 1990-91. Many Americans began to see war as fun, almost like a video game in which “enemy” forces get obliterated from afar. On TV news shows, tough-talking pundits were all the rage. If you wanted to be taken seriously, you couldn’t go wrong taking the most macho position, what I sometimes call the “er-er-er” growling effect. Combined with the collapse of the Soviet Union in 1991, the notion that U.S. military supremacy was unmatched and unchallengeable gave rise to neocon theories about turning “diplomacy” into nothing more than the delivery of U.S. ultimatums. In the Middle East, that was a view shared by Israeli hardliners, who had grown tired of negotiating with the Palestinians and other Arabs. In 1998, the neocon Project for the New American Century, founded by neocons Robert Kagan and William Kristol, called for a U.S. invasion of Iraq, but President Bill Clinton balked at something that extreme. The situation changed, however, when President George W. Bush took office and the 9/11 attacks terrified and infuriated the American public. The 2003 Iraq invasion sounded the death knell for foreign policy “realism” in Official Washington. Aging or dead, the old adult voices were silent or ignored. From Congress and the Executive Branch to the think tanks and the mainstream news media, almost all the “opinion leaders” were neocons and many liberals fell into line behind Bush’s case for war. And, even though the Iraq War “group think” was almost entirely wrong, both on the WMD justifications for war and the “cakewalk” expectations for remaking Iraq, almost no one who promoted the fiasco suffered punishment for either the illegality of the invasion or the absence of sanity in promoting such a harebrained scheme. Instead of negative repercussions, the Iraq War backers the neocons and their liberal-hawk accomplices essentially solidified their control over U.S. foreign policy and the major news media. From The New York Times and The Washington Post to the Brookings Institution and the American Enterprise Institute, the “regime change” agenda continued to hold sway. It didn’t even matter when the sectarian warfare unleashed in Iraq left hundreds of thousands dead, displaced millions and gave rise to Al Qaeda’s ruthless Iraq affiliate. Not even the 2008 election of Barack Obama, an Iraq War opponent, changed this overall dynamic. Rather than standing up to this new foreign policy establishment, Obama bowed to it, retaining key players from President Bush’s national security team, such as Defense Secretary Robert Gates and General David Petraeus, and by hiring hawkish Democrats, including Sen. Hillary Clinton, who became Secretary of State, and Samantha Power at the National Security Council. Thus, the cult of “regime change” did not just survive the Iraq disaster; it thrived. Whenever a difficult foreign problem emerged, the go-to solution was still “regime change,” accompanied by the usual demonizing of a targeted leader, support for the “democratic opposition” and calls for military intervention. President Obama, arguably a “closet realist,” found himself as the foot-dragger-in-chief as he reluctantly was pulled along on one “regime change” crusade after another. 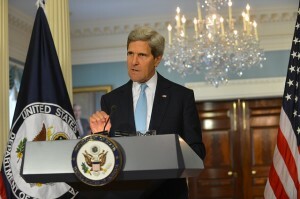 In 2011, for instance, Secretary of State Clinton and National Security Council aide Power persuaded Obama to join with some hot-for-war European leaders to achieve “regime change” in Libya, where Muammar Gaddafi had gone on the offensive against groups in eastern Libya that he identified as Islamic terrorists. But Clinton and Power saw the case as a test for their theories of “humanitarian warfare” or “regime change” to remove a “bad guy” like Gaddafi from power. Obama soon signed on and, with the U.S. military providing crucial technological support, a devastating bombing campaign destroyed Gaddafi’s army, drove him from Tripoli, and ultimately led to his torture-murder. Secretary Clinton scurried to secure credit for this “regime change.” According to one email chain in August 2011, her longtime friend and personal adviser Sidney Blumenthal praised the bombing campaign to destroy Gaddafi’s army and hailed the dictator’s impending ouster. In a TV interview, Clinton celebrated the news when it appeared on her cell phone and paraphrased Julius Caesar’s famous line after Roman forces achieved a resounding victory in 46 B.C. and he declared, “veni, vidi, vici” “I came, I saw, I conquered.” Clinton’s reprise of Caesar’s boast went: “We came; we saw; he died.” She then laughed and clapped her hands. But the problem with Clinton’s boasting about the “Clinton Doctrine” was that the Libyan adventure quickly turned sour with the Islamic terrorists, whom Gaddafi had warned about, seizing wide swaths of territory and turning it into another Iraq-like badlands. On Sept. 11, 2012, this reality hit home when the U.S. consulate in Benghazi was overrun and U.S. Ambassador Christopher Stevens and three other American diplomatic personnel were killed. It turned out that Gaddafi wasn’t entirely wrong about the nature of his opposition. Eventually, the extremist violence in Libya grew so out of control that the United States and European countries abandoned their embassies in Tripoli. Since then, Islamic State terrorists have begun decapitating Coptic Christians on Libyan beaches and slaughtering other “heretics.” Amid the anarchy, Libya has become a route for desperate migrants seeking passage across the Mediterranean to Europe. For the first years of the Syrian civil war, the pretense remained that these “moderate” rebels were facing unjustified repression and the only answer was “regime change” in Damascus. Assad’s claim that the opposition included many Islamic extremists was largely dismissed as were Gaddafi’s alarms in Libya. On Aug. 21, 2013, a sarin gas attack outside Damascus killed hundreds of civilians and the U.S. State Department and the mainstream news media immediately blamed Assad’s forces amid demands for military retaliation against the Syrian army. Despite doubts within the U.S. intelligence community about Assad’s responsibility for the sarin attack, which some analysts saw instead as a provocation by anti-Assad terrorists, the clamor from Official Washington’s neocons and liberal interventionists for war was intense and any doubts were brushed aside. But President Obama, aware of the uncertainty within the U.S. intelligence community, held back from a military strike and eventually worked out a deal, brokered by Russian President Vladimir Putin, in which Assad agreed to surrender his entire chemical-weapons arsenal while still denying any role in the sarin attack. The neocons have created a conventional wisdom which holds that the Syrian crisis would have been prevented if only Obama had followed the neocons’ 2011 prescription of another U.S. intervention to force another “regime change.” Yet, the far more likely outcome would have been either another indefinite and bloody U.S. military occupation of Syria or the black flag of Islamic terrorism flying over Damascus. Another villain who emerged from the 2013 failure to bomb Syria was Russian President Putin, who infuriated the neocons by his work with Obama on Syria’s surrender of its chemical weapons and who further annoyed the neocons by helping to get the Iranians to negotiate seriously on constraining their nuclear program. Despite the “regime change” disasters in Iraq and Libya, the neocons wanted to wave the “regime change” wand again over Syria and Iran. Putin got his comeuppance when U.S. neocons, including NED President Carl Gershman and Assistant Secretary of State for European Affairs Victoria Nuland (Robert Kagan’s wife), helped orchestrate a “regime change” in Ukraine on Feb. 22, 2014, overthrowing elected President Viktor Yanukovych and putting in a fiercely anti-Russian regime on Russia’s border. As thrilled as the neocons were with their “victory” in Kiev and their success in demonizing Putin in the mainstream U.S. news media, Ukraine followed the now-predictable post-regime-change descent into a vicious civil war. Western Ukrainians waged a brutal “anti-terrorist operation” against ethnic Russians in the east who resisted the U.S.-backed coup. Thousands of Ukrainians died and millions were displaced as Ukraine’s national economy teetered toward collapse. Yet, the neocons and their liberal-hawk friends again showed their propaganda skills by pinning the blame for everything on “Russian aggression” and Putin. Though Obama was apparently caught off-guard by the Ukrainian “regime change,” he soon joined in denouncing Putin and Russia. The European Union also got behind U.S.-demanded sanctions against Russia despite the harm those sanctions also inflicted on Europe’s already shaky economy. Europe’s stability is now under additional strain because of the flows of refugees from the war zones of the Middle East. So, we can now look at the consequences and costs of the past dozen years under the spell of neocon/liberal-hawk “regime change” strategies. According to many estimates, the death toll in Iraq, Syria and Libya has exceeded one million with several million more refugees flooding into and stretching the resources of fragile Mideast countries. Hundreds of thousands of other refugees and migrants have fled to Europe, putting major strains on the Continent’s social structures already stressed by the severe recession that followed the 2008 Wall Street crash. Even without the refugee crisis, Greece and other southern European countries would be struggling to meet their citizens’ needs. Stepping back for a moment and assessing the full impact of neoconservative policies, you might be amazed at how widely they have spread chaos across a large swath of the globe. Who would have thought that the neocons would have succeeded in destabilizing not only the Mideast but Europe as well. And, as Europe struggles, the export markets of China are squeezed, spreading economic instability to that crucial economy and, with its market shocks, the reverberations rumbling back to the United States, too. We now see the human tragedies of neocon/liberal-hawk ideologies captured in the suffering of the Syrians and other refugees flooding Europe and the death of children drowning as their desperate families flee the chaos created by “regime change.” But will the neocon/liberal-hawk grip on Official Washington finally be broken? Will a debate even be allowed about the dangers of “regime change” prescriptions in the future? The one hope is that many Americans will not be fooled this time and that a belated “realism” will finally return to U.S. geopolitical strategies that will look for obtainable compromises to restore some political order to places such as Syria, Libya and Ukraine. Rather than more and more tough-guy/gal confrontations, maybe there will finally be some serious efforts at reconciliation. But the other reality is that the interventionist forces have rooted themselves deeply in Official Washington, inside NATO, within the mainstream news media and even in European institutions. It will not be easy to rid the world of the grave dangers created by neocon policies. ← Did Saudi King ‘Snub’ Obama on Iran? I can not take anything Mr. Perry says seriously. I don’t know what his agenda is since he doesn’t even know the difference between a conservative and a liberal interventionist . I must say this he really loves slinging around that neocon. Until he can tell the difference of two diametrically opposed ideals, I will take anything he writes as complete rubbish. Njord, your accent suggests that your real name is Moe Schlomovich, and that you wrote this comment from a much more southerly latitude. Let’s put the blame where it squarely belongs–at Obama’s doorstep. Not to worry. It’s all part of the plan. The Military Industrial Congressional Complex needs to justify it’s continued existence and increased funding. What better way than to create civil war and very visible atrocities all over the Muslim world to scare the sheeple in the US and stampede them into supporting a US government that spends trillions of dollars on militarism while ignoring a rotting infrastructure and growing internal poverty. Originally conceived by Bernard Lewis as a traditional British plan to “divide and rule” an “arc of crisis” from Nigeria to Pakistan, the plan was adapted by Zbigniew Brzezinski as a means to sow discontent in the Muslim SSRs and Chechnya, thus weakening the USSR. Implementation began in the late ’70s, with covert support for the mujaheddin in Afghanistan. This is now acknowledged to have occurred 6 months before the Soviet effort to stabilize the situation by invading. At the same time, the US abandoned the Shah of Iran and attempted to forge an alliance with Ayatollah Khomeini, but was unsuccessful when the more angry elements of the revolution attacked the US embassy and took hostages, ushering in the current hostility between Iran and the US. While Brzezinski’s plan does not seem to have been very effective in splitting Central Asia from Russia and China, it did help to bring about the collapse of the Soviet Union and probably contributed to the civil war in Chechnya. However, another important effect was the establishment of a sectarian regime in Iran, the outbreak of war between Iran and Iraq (encouraged by Sunni elites in the Gulf fearful of their Shia underclass), and the opportunity to sell arms to both sides. With the collapse of the entire Warsaw Pact in 1989-90 and widespread talk of a “peace dividend” threatening the livelihood of the entire MIC, I recall much talk about an “arc of instability” stretching from Pakistan through northern Africa that might require continued or even increased military expenditures. However, before the US could deal with this “arc of instability,” it needed to deal with the “Vietnam syndrome.” Saddam Hussein’s invasion of Kuwait â€” to solve what April Glaspie had told him was an internal Arab problem in which the US government had little interest â€” gave Bush 41 the opportunity the MIC needed to dispel that syndrome by destroying Iraq’s Army. The US has been on a decidedly interventionist path ever since in Somalia, Sudan, the Balkans and culminating in Bush 43’s dumb war and Obama’s “smart” interventions in Libya, Yemen, Syria and Ukraine. These interventions of the last 35 years have never achieved America’s “exceptional” goals to quell instability, protect human rights or establish democracies, nor have they even achieved less widely published but avowed goals to protect the “international community’s” access to resources or establish US hegemony. Oil exports always fall during war, and nobody has control in places like Somalia, Yemen, South Sudan, Libya, Syria or Ukraine. On the contrary, our interventions and those of our allies have created failed states or civil war in all these countries. However, sane people do not repeat the same actions over and over expecting different results. Then why are these policies continued? US policies have done wonders to justify the institutional imperatives of the MIC: 1) profits for arms manufacturers and other military contractors, 2) career enhancement for military brass, civilian employees of the CIA, Pentagon, State Department, and militarist thinktanks, 3) blockbuster movies and sensational headlines to sell media (and also contribute to the necessary fear and jingoism), 4) pork for politicians and 5) attendant high paying jobs guaranteed by ITAR (International Traffick in Arms Regulations) for “US persons” that keep those employees loyal to the system. Thus, we see that these policies are wildly successful and will be continued until the US is totally isolated and the sheeple rebel. actually had a brief month or two of stability under the Islamic Courts Union in 2007 until the US requested Ethiopia’s intervention under the pretext that there was one known al-Qaeda militant with little actual influence who was tolerated by the ICU. Your comments are very well constructed, thanks for sharing. Mr. Rood, your comments are interesting, and in some particulars, I agree. But you seem averse to acknowledging any ideological underpinning to all this beyond mere profit. Carried to its logical conclusion, the motives you ascribe are self-evidently self-limiting. And, the people behind them would have to know that. As America’s infrastructure collapses, manufacturing jobs disappear, public education deteriorates and the prospects for a rewarding future in the American economy diminish, so does the revenue base. America has lost millions of manufacturing jobs in recent years, and replaced them with bar tending, fast food, waitress, and elderly care jobs. Except for the aging population and increasingly unaffordable care due to ever deeper cuts in social programs, there is no “growth industry” here. The “service sector” promises to expand providing an ever shrinking revenue base. The “military industrial complex” does not sell directly to the public; it relies on that revenue base to pay for military procurement. As entire regions of the world are bombed into oblivion, the customer base for that procurement also dwindles. At some point, the entire market structure collapses. Maybe the oligarchs getting rich at this believe it won’t happen in their lifetimes, but they must know it will happen. The economic model here promises a new “Dark Age” based on feudal oligarchy. If you really believe there is no “ideology” behind all of this, then some of the more esoteric “conspiracy” theories become the only plausible explanation. I’m curious: which one do you subscribe to? I’m asking a serious question here despite what may appear to be sarcasm. Personally, my opinion is that “humanity” is probably an evolutionary dead end given that we as a species have not been able to cast off superstition and “magical thinking”, but that’s just me. What do you think? I believe it is a conspiracy of neo-feudal oligarchs (corporate fascists in these modern times), to turn back the clock on the progress of the Commoners in organizing themselves as parliamentarians/republicans for the common good or general welfare. This has been the “wrestling match” in Western Civilization since at least the time when The Roman Empire destroyed The Roman Republic. The current chapter of this struggle started some time in the 17th century until the present moment. It’s particularly brutal at this time BECAUSE we have managed to shrug off superstition (any concept of supernature) and genuine “magical thinking” (call it “respectful diplomacy” towards the true Rulers of this Cosmos, as pursued by the ancient pagan/polytheists), becoming true, narcissistic atheist/materialists with a gigantic “will-to-power”, as we no longer see, nor genuinely acknowledge, any countervailing force to check our ambitions, other than the threats of other powerful narcissists. This makes for piss-poor management techniques of a World. That’s my current line-of-thought, just FYI. and then cite the actions of Zbigniew Brzezinski as not being founded upon zealous NeoConservative ideology? A more comprehensive reading of Mr. Parry’s extensive writings, including those referenced in this very article, may disabuse you of the notion that he is unaware of any such predication. Mr. Perry, this is a terrific summary, but you don’t follow the issue of the Neocons to the root of the problem, and that is this: is there any doubt whatsoever that everything the Neocons do, everything they stand for, is founded on their drive to promote the interests of Israel? No one is drawing this linkage, which seems obvious when you follow the history. The reason that a Kurdish boy died on a beach in Turkey is because Israel wanted him dead. The reason Iraq, Libya, and Syria are shattered, failed states, is that Israel wanted them failed. The reason 12 million Syrians are flooding Europe is because Israel wanted them to go. And as a result of Putin’s interference, stopping Obama from attacking Assad, the reason there are twenty thousand dead Ukrainians and Eastern Europe is on the brink of nuclear war is that Israel wanted them dead. The war in Syria has to be stopped if Europe is to be saved- as one 13-year-old Syrian refugee remarked, stop the war, and we will stay home; we don’t want to go to Europe. But the war will not be stopped as long as Israel wants Assad dead and Syria in ruins, permanently. Every time someone argues that there should be an end to the fighting the Neocons pipe up with the position from Tel Aviv: no deals with dictators! So instead, permanent war, or worse, an ISIS victory, and ISIS ruling in Damascus. Bet that would secure Israel’s northern border. The very real threat of an unmanageable influx of refugees that could ruin Europe makes it seem as if Israel is now bent on a preemptive Sampson option: destroy every country, everywhere, even friends, on the 1-percent chance that those countries might one day turn on Israel and pressure it to give up its occupation. Kill your friends- why not? Israel is the reason those refugees are there. And only by recognizing that fact and challenging the Neocons on their core motivation will all this be stopped. Which is of course unlikely. But there’s no use pointing the finger at the Neocons without identifying why they do what they do. It’s all for Israel. I agree that all the wars and interventions in the Middle East align with the perceived interests of Israel and Zionism. However, it’s far more complex than that. Yes, Israel is a problem and AIPAC and its neocons contribute to the chorus pushing for these policies, but if Israel disappeared today, the US National Security State, under the influence of the MIC, would still be pursuing these policies. Like the abused term Semites(Today’s Jews are not Arabs), the author hasn’t the guts to use the right term Jews (Israel Firsters). Comment *This article may be an eye-opener. The powers that be shy away from absolute nothing. It makes me want to puke. In an insane world only the sane are insane. We Americans do not seem to have the collective integrity to shun Bush/Cheney, et al, even after all the lie telling, war waging and troop sacrificing. Point to the next boogeyman, wave the flag and off we will go – like a cat chasing a laser dot. This is a very convincing analysis, at first sight. But the analysis of Ukraine, which is utterly wrong, casts doubt on the other 95% of the article. It is preposterous to claim that the popular revolution of 2013-14 against a Russian puppet was created by a distant US that is still reluctant to help the Ukrainians defend themselves against their age-old colonizer. And isn’t it a bit too schematic to reduce recent history to a neocon/liberal hawk scheme to destabilize the world? Reality is more complex than that. Still, it’s an interesting article. You forgot to mention that Hunter Biden, Natalie Jaresko and Mikhail Shaakashvili have stepped in to help save Svoboda and Pravy Sektor from defeat. Those Nazis need all the help they can get! Mr Parry, thank you for the analysis. I have a question that many of my ‘friends’ and even the neocon ilk seem never answer. Since it is a psychological method to reduce an entire country to one individual (except for the playing cards of the supposed WMD upper echelon) why is it acceptable to go into a country and kill hundreds of thousand of people in the name of one man….. Assad, Gaddafi, Hussain, ad infinitum. If the neocons are so fixed on regime change, send an exploding cigar as they did Castro and save the population from gruesome death and blood soaked earth? Are they so entrenched in their war games and their war colleges that they can’t even take out one person. What is their defense for the cruelty brought on the population? I can’t seem to get an answer out of the warmongers as it seems the people are just an aside and just collateral. It murder in the extreme and I don’t hear too many talking about the death. Jeb Bush, in one of his many defenses (5?) of the was said it was good that Saddam was taken out How can he possible defend the 100s of thousands too as a result? The defense is baffling and filled with the blood of the innocent. If you know why the neocons feel justified in killed masses of people, please help me to understand that warped thinking. Mr Parry, thank you for the analysis as always. I have a question that many of my ‘friends’ and even the neocon ilk seem never answer. Since it is a psychological method to reduce an entire country to one individual (except for the playing cards of the supposed WMD up echelon) why is it acceptable to go into a country and kill hundreds of thousand of people in the name of one man….. Assad, Gaddafi, Hussain, ad infinitum. If the neocons are so fixed on regime change, send an exploding cigar as they did Castro and save the population from gruesome death and blood soaked earth? “Camp of the Saints.” And you lapdogs of American-Israeli foreign policy deserve it. Samantha looks like Mommy, and Hillary looks like Grandma. Brennan looks a lot like Grandpa, and that’s important, because Daddy is nowhere to be found. Susan, Valerie, Diane and Nancy dance around the cauldron in the forrest of the night invoking ‘eye of Newt and toe of Kerry’. The Walrus sweeps the beaches for the tender little oysters, but he’ll never hide them all. The whole thing looks like an ‘All in the (dysfunctional) Family’ style concoction made of Oedipus and Hamlet. The only one gettin’ fat is Daddy Cass. “To bombâ€¦or not to bomb. That is the question?” And, Joe Tedesky’s comment was not “stupid”. It’s about time somebody asks, “What’s the point?” Everybody pretends this is all plans gone wrong. It isn’t. This is a big, dysfunctional family run by a bunch of drunken uncles, women scorned and abused children: the American paradigm. At the center of it is a guy who got schlepped through college and law school without ever reading “Rise and Fall”, “The Seven Pillars”, “Gulliver’s Travels”, “Animal Farm”, Fahrenheit 451″ or “Nineteen Eighty-Four”. He’s the perfect tool. While he’s busy looking for Daddy, Rome is burning all around him. Our country is undergoing slow, steady Weimarization, and the demagogues are lining up to save us from the pitfalls of “democracy”. “Evil triumphs when good men say nothing”. But good men and women did speak out. If ten, or a hundred, or a thousand, or a million more had spoken, Dachau could have accommodated them. Sophie Scholl went to the guillotine. My fear is that it’s too late to “speak out”. This has all taken on a momentum of its own, and the truth gets little traction. The little oysters on the beach will soon be forgotten. “O Oysters,” said the Carpenter,”You’ve had a pleasant run! Shall we be trotting home again? ‘But answer came there none–And this was scarcely odd, because They’d eaten every one. Looking for his daddy?You mean that Marshall guy who lived near his mother?He looks absolutely nothing like his alleged father. Of course that’s not his fault,it was his screwy mother’s. And yes,he does seem somewhat unread and a victim of ZioBS. I would not doubt that amongst our leadership there are a few of those that gots the hots for their mama. Now, if these Oedipus Complexed mama jammers would just recant and pluke their eyes out for the better of the commons, oh what a better world it might be. No need for the guillotine, because we are tired of talking. Okay, I’m done! One signpost to a path away from neocon war hawk control is to notice that all the killing and militarization is done on credit. The US government was designed to avoid this well-known tendency by putting the short term representatives in charge of the budget. Corporatists pushing endless war have circumvented this. A new seven branch government that requires a balanced budget and eliminates commander in chief as president. A typical average US person, you have no idea what you are typing about, but you still type. Should you not find out what Syria looked like before your compatriots wrecked it up by supporting terrorists? Just another slave of own prejudices. One example, a friend of mine who spent some time with the Syrian refugees says that the majority eat pork meat without a second thought. It is the extremists which the U.S. and Israel armed and trained in Syria who have not seen more than a woman’s ankle and the rest of your description. Your worries are all Zionist induced.They are the destabilizing agent,and they’ve destabilized America into the insanity of doing over and over what doesn’t work in restabilizing our world. They are our bane,and until a concerted effort by American nationalists,we will continue down the road of idiocy. American nationalism does what’s good for America,it’s internationalism that’s destroying US. I just cannot understands how the Western countries can be so confused. All these people coming to Europe are not refugees. No, they are people on a pilgrimage to those hot-for-war European leaders to thank them personally for dropping all these humanitarian bombs on their countries in a selfless aim to make the lives of these people better. Imagine, they had such ruthless dictators such as Khadafi before, who provided universal free healthcare and education, job security and now they have no such burdens: no functioning society, no physical security, no clean water, after the benevolent “regime change” brought to them by the neocons empire. They are simply just grateful people. The US and Canada are too far a trip, and Israel shoots people at its border, so they could only come thank the Europeans. Qaddafi’s nationalizing of oil, free education, housing and health care for all, trying to organize Africa into one large union “The United States of Africa” etc. Turkish Foreign Secretary Mevlut Cavusoglu said, “a large battle is imminent”, Together with the US, Ankara plans “extensive air strikes” and later to go in with ground troops to create a security zone. Turkish secret service has recently not only allowed but encouraged people traffickers to head off to Greece. Refugees appear to be utilized to blackmail Europeans into supporting the war. France and Britain also declared willingness to participate in an air campaign. The target appears to be not only ISIS but also regime change in Damascus. Russia appears to build up forces in Syria. The US asked Greece do forbid Russian airplanes to use Greek airspace heading for Syria. Forget sophisticated words and analysis – the Washington degenerates are a festering boil on the backside of humanity. You know nexusxyz after reading your comments I think we have something in common, and I couldn’t agree with you more about all of our sophisticated wordy stuff, but wouldn’t it also look a little odd if we were to all drag our knuckles when we speak? Welcome aboard! The European refugee crisis should do the trick, or at least that is what western powers are placing their bets on. Let’s see the west has sworn allegiance to support freedom fighters to topple Damascus. Then the U.S. accused Assad to having used sarin gas, and due to Putin’s interference Syria gave up all it’s chemical weapons. Finally, ISIS made head chopping headlines that scared the hell out of everyone, but still Assad remains in power. So now it is humanitarian concern for people who have been abused, and need a home. A little boy is washed up on a beach. It cannot get anymore sadder than this. Remember Europe is still not gotten over the Charlie Hedo attacks. Former Canterbury Archbishop Lord Carey remarked at a G20 conference to crush Bashar Al Assad for this terrible human tragedy. I also hope that none of these poor refugees are patsies walking around with a planted Iranian nuclear suitcase bomb. This would then be that false flag we have all been speculating about. Greed can be evil all on it’s own, but something like what I mentioned here is evil beyond what one could ever be prepared for. Lastly, with Russia’s support of Assad and Iran I am sure this will help assist the west towards making a great case for going to war. The goal has always been, and always will be, to not only reshape the Middle East, but to bring Putin down. Stupid comment…going to war in what way? If Russia is attacked it will go nuclear.You should read Russia’s revised military doctrine. Hope the muppets in the Pentagon have. Every single candidate for U.S. president, both Republican and Democrat, is a Neocon to the max. Name one candidate who will not simply take the baton from Obama and keep on running the same rotten game plan of “regime change” with Bibi barking the orders! Never mind that there is no one to vote for who has a sane, Constitutional bone in his/her body. NONE of them are qualified to take the oath to the Constitution when they all support international war crimes and un-Constitutional mass surveillance of the American people! All the freakin’ computerized voting machines are owned by corporations with secret proprietary software! But, alas, what difference does it make? If they “steal” the election the agenda of “regime change” and fascism will just keep marching on with Israel the prime instigator behind it all. The writing is quite plainly on the wall. Too bad the American people who too stupid and propagandized to bother reading it. Could we PLEASE get a candidate for president who is not a neocon and who will tell the truth to the American people for once? Glenn Greenwald? Chris Hedges? 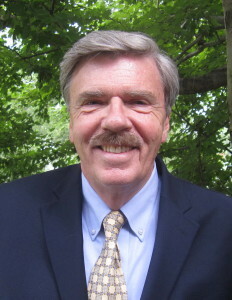 Robert Parry? Anyone, anyone??!!! He is ridiculing the stupidity. nexusxyz, I was explaining how the events in the Syrian theater of war, and along with Putin’s involvement, will give the west a pretext for escalating this tragic war to an even more terrible high than we presently have. I am not a Neocon who is filled with so much hubris that I have no idea of what war is. I don’t put much faith into America’s first strike capability. I doubt that any first strike will be effective up against Russia’s new S500 Defense System. I take Russia and China’s military might very seriously. I know that Russia’s Defense Minister Sergey Shoygu listens to his superiors, much more than let’s say, a Donald Rumsfeld. I marvel at Putin’s restraint. I am very impressed with Russia’s UAV technology, and I am equally impressed with Russia’s stealthy new T14 Armata tank. The eagle may get it’s wings clipped if it further disturbs the hibernating bear. on a daley basis in Palestine. US Congress can buy. This leaves asside all the other Israeli crimes. is but to do or die. Or do AND die. An excellent summary of the ignorance, selfishness, hypocrisy, and malice of US interventionism, and the right-wing revolution that has destroyed democracy in the US. If only the tens of millions whose lives are ruined or disrupted by the US in its adventure wars since WWII would assault the US itself, seeking only survival. If only the UN would command those who intervened to pay the cost of assisting the refugees and rebuilding their countries, and condemn them repeatedly for their outrages against humanity. It should also identify and condemn the instigators in absentia, authorize their arrest by any cooperating nation or private party, and upon trial, turn them over to their victims for punishment. Only when the neocons see their leaders swinging from the gallows, will they consider alternatives. (not long after 9/11) , Iraq, Libya, Syria , Sudan , Somalia and finally Iran , thats our goal . i shiver at that thought, each and every human being on the planet will suffer (apart from the extremely rich). in the words of Albert Einstein ” I know not what weapons will be used in WWIII, but what I do know is WWIV will be fought with sticks and stones” . there is a HUGE bunker under the Ozarks mountains, from Missouri, Mississippi, Arkansas, and Tennessee. trucks deliver tons of material daily for over a decade and a half now. I have heard mention of what is referred to as a “protracted nuclear war in europe.” essentially a war with Russia where only europe has Russian nuclear bombs fall upon it, and Russia’s capability to fight is destroyed via washington’s nukes which encircle it, in conjunction with anti-ballistic missile defence. whatever is being stored in that bunker, will feed those privileged few. the only people who can stop this … the u.s. citizen. I do not know how, but it will not be at the ballot box, that is for sure. The govt,the media,the State Dept. and CIA are now in the hands of traitorous Zionists,who use US and Europe to enact their divide and conquer campaign in the ME,and here,at home. The nexus of our crisis. For weeks, reading about the horrendous crisis of millions fleeing the middle east killing fields that we (the US) basically created, I have wondered if anyone would notice how nonchalant the US is about the whole thing. We don’t allow any of these refugees here (after all they might be terrorists), we give miniscule amounts of money to help other countries feed, clothe and house them and we continue to spend millions a week to continue the carnage. Have we no shame?? Apparently not. After Viet Nam we took in over 200,000 refugees, but our responsibility toward uncounted millions of Libyans, Syrians, Afghanis, Yemanis and Iraqis (a recent estimate is 11 million displaced) has been negligible – less than 2,000 by one count. I am angry, embarrassed, and utterly ashamed of my country! We are spoiled brats running around the world shooting up people, destroying cultures, the environment and the livlihoods of millions, all for our own aggrandizement. We are the creators of ISIS and their behavior reflects our own behavior. We call them terrorists, as they truly are, and they are the legitimate evil spawn of our own actions. It’s time for us to ante up and pay the piper. This piece looks at why it’s playing out the way it is in Europe. More US meddling of course. Thank you BillJones, I agree with hank, it is a very interesting link and, for me, rings true. So is this Brzezinski vs. Kissinger?, or something else? Everyone time our government attacks another person or another country it puts another dollar into the shareholders who own the “offense and security”(LOL) industries. It has nothing to do with helping or defending and everything to do about stealing another F$$King TAX dollar! I’ve never understood why the root of these horrors is seldom mentioned. It’s fascism guys. The other prongs of fascism are 2) extreme nationalism and 3) the crushing of dissent. We see all of these in the US today, some subtle, some not so much. As usual, thank you Mr. Parry for keeping this dialogue present. My own personal feeling is that President Obama has never been out maneuvered by the neocons but rather is one of them, in the same way that Hillary is a Republican. These people have learned the art of lying in that they speak publicly as populists but govern as ultra conservatives. As though we would never notice. One has to hope that they have reached the limit of our naivety. The movement of refugees into Europe and beyond is heartbreaking and is â€œon us,â€ that is, on bush II and also on President Obama and on to us, as their constituents. Woe be to us all. Also drone warfare, while it may be the future, is without ethics and honor and should be recognized as a war crime. Iâ€™m completely disgusted with the President, as it seems his â€œweapon of choiceâ€ a decision that only a non-combatant would make and cowardly. Obama, is as you suggest, a fraud; and, as you say, a coward. Our so-called democracy is a fascist oligarchy all-the-while a Nation of law, albeit ignored laws! Enough people in the streets waving our Declaration of Independence and Constitution in the air and demanding justice would topple the regime which now holds power as the government of the USA (only because they took it) when in fact it is “we the people” by declaration hold the power “if only we can keep it.” To take it back is our legitimate, legal right. It is in fact our duty and responsibility to do so. Putin’s move into Syria with jets & “advisers”, together with an enormous celebration of VJ-Day (and of solidarity with Russia, the “C” and “R” in BRICS) in China, and a promise to “make a Stalingrad” for any invading force (Turkish/NATO), is his “regime change” for us and our neocon regime…check and mate. Regime change cuts both ways. In Canada we are mid-way through a national election. When the immigration issue “broke” after we saw images of a dead boy on the beach, our Prime Minister, currently a candidate, declared that the solution to this war-driven movement of people is more bombing of ISIS. 5 years ago there was no problem with Assad, it ALL STARTED WHEN, being Syria an oil rich country, it refuses partnership with Us and chose Iran-Russia. That is the beginning of EVIL ASSAD, and the NECESSITY to spread DEMOCRACY and to change regime….naturally with someone in favor of the Us. who do you propose replace the conservatives? the liberals, and new democrats did not challenge the conservatives’ support for fascists in Kyiv. non of the opposition party leaders even mention bill c-51 (overrides civil rights and liberties), it is a done deal, and it is not going away. the parliamentarian system is even more conducive to fascism because a prime minister with a majority government is a de facto dictator. the senate is appointed for f-n sake. I used to nag people to vote … I see their point now. It is necessary I take time off work so I can be home to vote … not bothering this October. Well as for Thomas Mulcair, leader of the NDP, he promised to repeal Bill C-51 when he was in Surrey, B.C. on May 16, 2015. Of course, he is a politician so we would have to see if he would repeal it but he has said as much and I believe the NDP were the only party to stand against Bill C-51. I was actually on the fence on whether to vote for the Liberals or NDP but when I found out that the Liberals largely support Bill C-51 then it made my mind up for me to vote for the NDP. Mainly I just want Harper gone because I just think the Conservative Party are taking Canada into a direction that we shouldn’t be â€“ even former Conservative Prime Minister Joe Clark wrote an op-ed about how dangerous Harper is. Enough Harper for me. Stop repeating this nonsense about Syria being “oil rich” or that US wars in the Middle East are about securing oil or stealing oil. For one thing, Syria exports little or no oil. In fact, Syria’s oil reserves are so small that it’s not even a member of OPEC. So stop spreading falsehoods. US aggression in the Middle East has always be driven by geopolitical concerns. And at the center of these nebulous ‘concerns’ lies Israel, Washington’s sacred cow. The wars on Iraq, on Libya, and (nearly) Iran have never been driven by stealing or controlling any of those nation’s oil. Same with Kuwait. If that was the case, America would have sized Iraqi oil or at least made certain that US corporations won contracts to drill in Iraq following the ‘official end’ of hostilities there. Only it never happened. Russia and China won most of the contracts to drill for oil in Iraq once US forces were withdrawn. So please get a clue. Nor was ‘spreading democracy’ a reason for US bombs to fall on Iraq or Libya. Those are all fairy tales. And America’s Zionist-controlled Left has allowed many of these ‘No Blood for Oil’ fairy tales to pass into America’s dense and fuzzy field of political memory. Only now is Donald Trump talking about taking Iraqi oil to pay for Zio-Washingon’s murderous destruction of that nation–or to destroy what’s emerged in its wake (ISIS). But even Trump is a stooge for Israel. No candidate–not one–dares to challenge, or even mention, Israel’s stranglehold on Washington. It’s taboo. Public figures would rather blame the oil companies than stare truth in the eye. Sadly, Washington’s serial wars in the Mideast are the product of PNAC neocons who have been nesting in Washington since Clinton, if not before. If you dare to look beneath the surface. the blood-stained tracks of all these interventions by Washington lead directly back to lobbyists, politicians, donors and NGOs that are indelibly linked to Zionist money and other Israeli-friendly forces that sustain America’s ‘special relationship’ to the All-Jewish entity. The ongoing destabilization of the Middle East is just business as usual for these people. America is simply being used for the purpose of cutting up and redividing the Middle East into tribes, factions and sects. Once that’s done, no nation can possibly threaten the tiny but mega-powerful Israel. Well spoken, Mark Green. 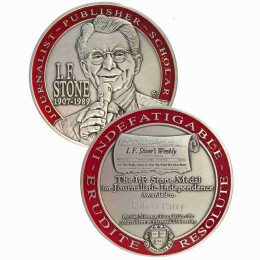 Your conclusions are “right on the money”. I could NOT have said it better myself. I’ve heard that theory before, and there’s no doubt that some of the war mongers really do harbor hope that a pipeline can be built through Afghanistan so that the hydrocarbons can flow South rather than North (Russia) or East (China). However, I really doubt that’s the main motivation. There’s already a BP pipeline to the Black Sea, and although our elites haven’t been all that happy with Turkey lately, tankers through the Bosporus or a pipeline through a relatively stable country like Turkey is surely preferable to trying to stabilize Afghanistan. No, I don’t think oil is the main reason we’re in Afghanistan, nor was it the primary motivation for invading Iraq or de-stabilizing Pakistan, which we are doing our best to turn into a failed state. The real reason for intervening all over the “arc of instability” is to insure it remains unstable, to justify continued interventions and military expenditures. I’m not saying it’s a conscious process; far from it. Nobody believes they are, much less would they ever admit to, de-stabilizing the entire Middle East and the Horn of Africa in order to generate profits for Blackwater, KBR and the rest of the MIC. But that is in fact what our institutions do. It’s in the institution’s interest to create instability in order to justify their continued existence and profits. They are adapted to it, as are many of their individual members. Our foreign policy elites are heavily vested in empire. It’s very easy to convince someone that a policy is in the “national interest” or “humanitarian” if they’re also profiting from it or getting promotions. They actually believe their own propaganda, largely because they profit from believing it. Those who fail to believe are selected out of the institutions, like Matt Hoh, the fellow who recently resigned from his post in Afghanistan. When you finally understand the true purpose of our imperial policies, it becomes clear why we repeat these same policies over and over again, always failing to achieve our publicly stated objectives. It’s because those justifications and distractions are not the real reason for these policies, and these policies are not failures. They are wildly successful. Only when people realize how deeply depraved our military and foreign policy establishments are will there be any hope of changing our policies. We have to stop playing along and pretending they are noble institutions, or even that they are fighting to secure our energy resources that God mistakenly deposited under foreign soil. They are not. They are fighting for the glory of the generals, the careers of the “experts” and the profits of the corporations. All else is mere distraction. Last night on Fox Brit Hume explaining the refugee situation, “We (U.S) are being blamed for the flood of refugees in Europe. Most of them are Syrian (not) and we (meaning the US) are doing virtually nothing in Syria. ” This bald face lie is just typical of ALL of the mainstream media. Don MAROC – we have HARPER’s clone as PM of Australia (the ugly Tony Abbott – a mouse-brained fascist ideologue – the exact same response – more – and Australian involvement – in bombing Syria. Hideous! Don MAROC – we have HARPER’s clone as PM of Australia (the ugly Tony Abbott)) – a mouse-brained fascist ideologue – the exact same response – more – and Australian involvement – in bombing Syria. Hideous! As a fellow Canadian, I think that is a prime reason why we need to get rid of Harper and the Conservative Party. I mean we have been at war in the Middle East for over 14 years now and what has worked. Plenty of bombs have been dropped on Al Qaeda and ISIS but it just continues to grow and expand into every nation that we help in instituting “regime change”. I believe it was Einstein that gave us the definition of insanity of “repeating the same action over and over again while expecting a different result”. What is also interesting is it seems that largely in our media it is all about Syrian refugees but what about the Libyan refugees or Iraqi refugees etc. For me, as a Canadian, when I see the refugees flooding Europe from countries that we helped destabilize with our bombing campaigns etc., I cannot help but feel responsible. But of course, I imagine our media and governments will only show us the Syrian refugees and blame it all on Assad and ISIS. The saddest part is that had “peace talks”, as was suggested by Russia, a few years ago been accepted then I think this war would have been over and ISIS would not have grown to the proportions that it has now. Also, with the US/Britain/France arming and training “moderate” Syrian rebels in Jordan 2012, which seem to have largely moved to the Al Nusra Front and ISIS, have only exacerbated the situation in Syria â€“ but of course our governments will never take responsibility for this mess that we have helped create. Don, you guys up North need to beat Harper to a bloody pulp with your hockey sticks, then bury him in a snow bank near the tar-sands!